Sri Ramachandra Murthy August 9, 2018 10:30 IST Emotional Stalin walks all the way! DMK leader Mk Stalin, instead of getting into the army vehicle carrying Kalaignar's body, rather preferred to walk along with the supporters on road, in the leader's final journey from Rajaji hall. Kalaignar M Karunanidhi, the politician with more than 50 years of experience, and 5 times tenure as chief minister of Tamilnadu had passed away yesterday after 11 days treatment at Kauvery hospital Chennai. Whole of Tamilnadu has been mourning the death of the legendary politician, and most shaken happens to be Karunanidhi's son MK Stalin who had previously penned an emotional note, asking if he could call Karunanidhi "Appa" (dad) for one last time as he had always called him "Thalaivare" (Leader). 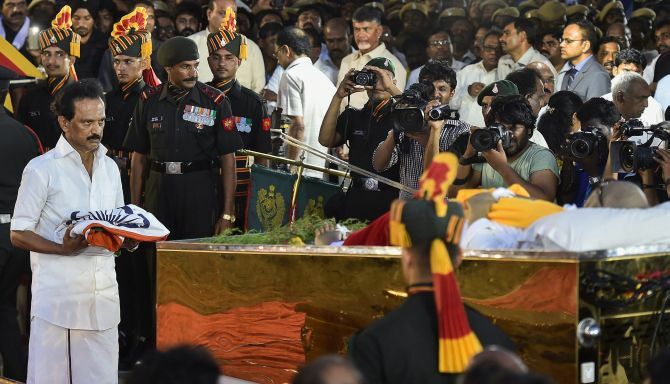 His body was placed at the Rajaji hall for public viewing following which by evening 4 pm he was taken on his last journey to marina towards Anna memorial location and thousands are on the way along with the army vehicle carrying him. In such a scenario, MK Stalin, preferred to walk along with the thousands of DMK supporters and Karunanidhi followers instead of getting into the army vehicle, and was seen on an extremely emotional mode, as it was a saddening sightseeing the DMK chief walking along with thousands of DMK cadre, behind his dad's body at the army vehicle. Chief Secretary Stalls Chandrababu Government's 1000 Crore Loan The Telugu Desam Party has launched criticism of chief secretary LV Subramaniam. 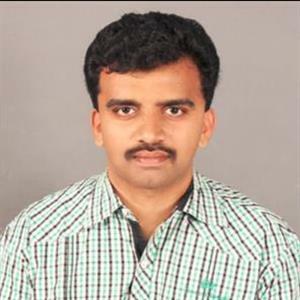 Minister of Finance Yanamala Ramakrishna released a statement on him. He blamed the Chief Secretary appointment and his decisions in a statement. Yanamala disagreed with the Chief Secretary's interference on the affairs of the Finance Department.